He also invites all LWF member churches, to seek authentic justice, genuine peace, hospitable tolerance and life-giving diakonia. 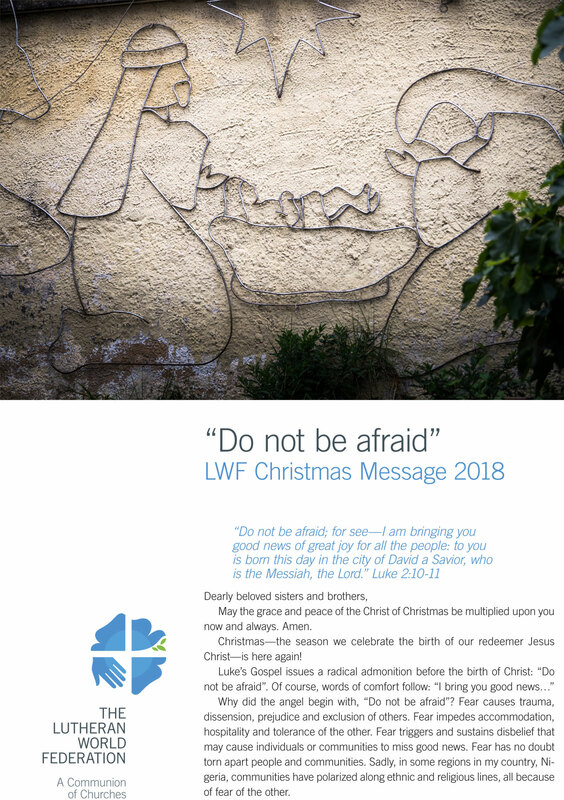 In this year’s Christmas message, LWF President Archbishop Dr Panti Filibus Musa reflects on peace. He also invites all LWF member churches to share the gospel in word and deed, just as the shepherds did on the first night of Christmas. In this year’s Christmas message, LWF President Bishop Dr Munib A. Younan reflects on the Joint Catholic-Lutheran Commemoration of the Reformation in Lund in October, which also marked nearly 50 years of continued dialogue.